Charles Barkley was right. 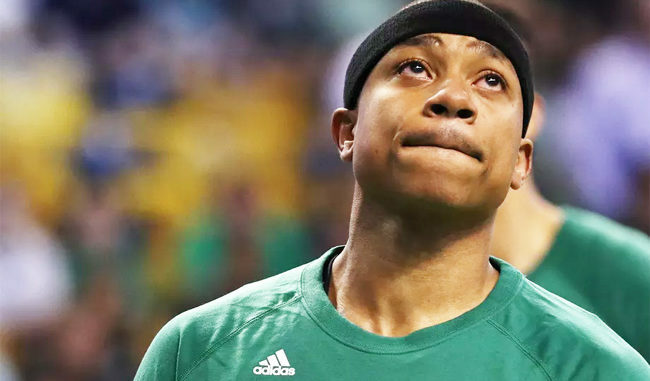 Watching Isaiah Thomas cry during pre-game warmups one day after his youngest sister tragically died in a car accident was uncomfortable. It was uncomfortable because grief is uncomfortable. A few people came over to hug Thomas, but there’s nothing anyone can really do to make him feel better. Hugs and consolations help. Being available for the individual helps, but the person ultimately just needs the space to be sad on their own terms. Barkley came off as callous, and was admonished for being uneasy around grief. But watching Thomas cry in public was uncomfortable because his grief had become part of the spectacle of sport. The relief of that purposeful ignorance is damn near impossible for athletes. As celebrities, their public and private lives belong to the people. The second the news arrived that Chyna Thomas died, the story became a sports narrative. The outpouring of support toward the Celtics guard was mixed in with speculation about his mental shape to play Game 1 against the Bulls. It continued through his arrival at the arena and his crying on the bench. The tragic event became the backdrop for everything that he did on the court.